In the age of Industry 4.0 you are faced with shorter product life-cycles, higher levels of specialization and higher individualism. Consequently, the digital factory of the future needs to be very flexible in terms of small series and even single item production. One example for industrial products that have a high level of specification and are needed in low quantities are copper inductors. Copper inductors are tools used for metal processing in manufacturing industries using induction heating. Their coil geometry must adapt as precisely as possible to the shape of the particular metal workpiece to reach the best efficiency levels. 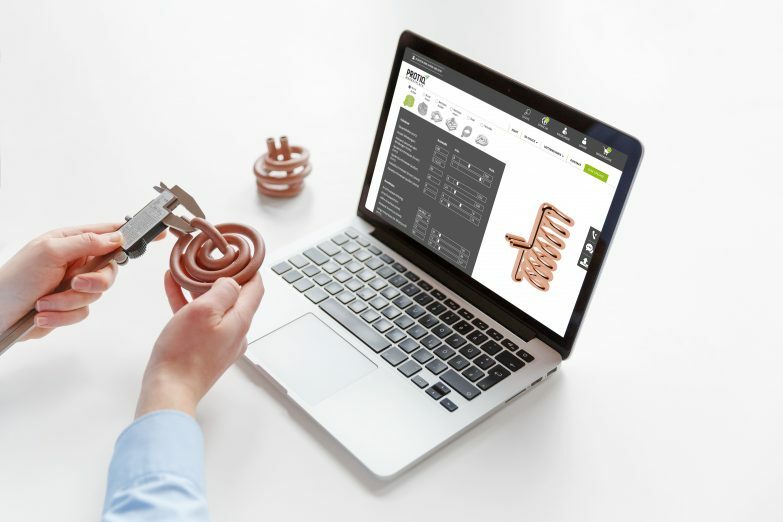 The fact that additive manufacturing manages complex geometries including windings and ducts quite easily and considerably cheaper than conventional production processes like bending and brazing, makes copper inductors a perfect use case for additive manufacturing per se. PROTIQ, a Phoenix Contact Company, that has become a pioneer in industrial additive manufacturing produces these customer-specific inductors using selective laser melting for copper. This seemed to be a promising business case if it had not been for one remaining hurdle: the design process of those individual inductor geometries. Generating those design variations in a conventional CAD design process comes along with many manual and recurrent design tasks. This time- and cost-intensive workflow would have killed the business case for PROTIQ. That was when Dr. Ralf Gärtner, Managing Director of PROTIQ, met us and learned about our paramate software platform. Based on paramate’s cloud-based architecture we developed a web-based configurator for inductors that enables customers to intuitively configure and order customized geometries in a few minutes. See the configurator in action! The configurator: How does it work? The inductor configurator is a plain example for design automation based on paramate. Instead of manual design steps in conventional, highly complex CAD tools, we use a parametric design approach and make it accessible in intuitive web applications. Around 20 open parameters give full flexibility to the user to adapt the geometry exactly to his or her needs. At the same time, we take all interdependencies into account to ensure the functionality and printability of the geometry. There is no need for CAD experience or knowledge regarding AM-ready design. Configurators based on paramate eliminate the complexity of traditional product development. PROTIQ’s customers are integrated into the design process. Moreover, prices of the inductors no longer have to be calculated in a separate process step but are shown instantly within the web application. The copper tools are ready to order. Sending requests and proposals back and forth belongs to the past. 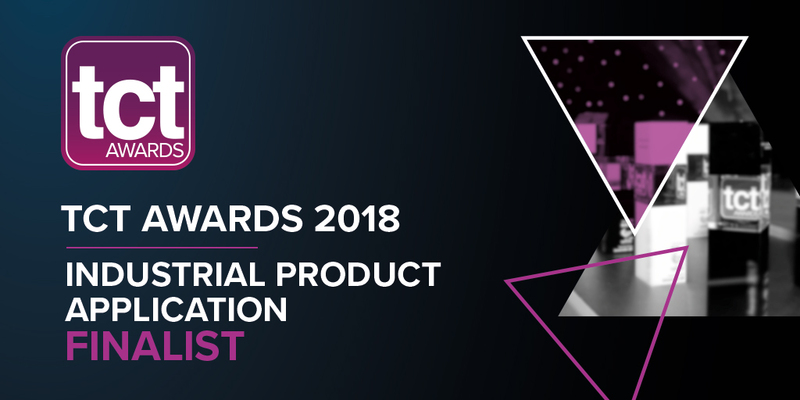 Dr. Ole Bröker, Head of Business Development at trinckle points out: “The end customer, who operates the configurator on the PROTIQ website, benefits from enormous time and cost savings. Compared to the manual design process in conventional CAD systems, which can add up to 3.5 hours easily, the configuration process takes less than 5 minutes. This implies cost savings of around 350 € per piece. For us PROTIQ realized a best practice application based on paramate. 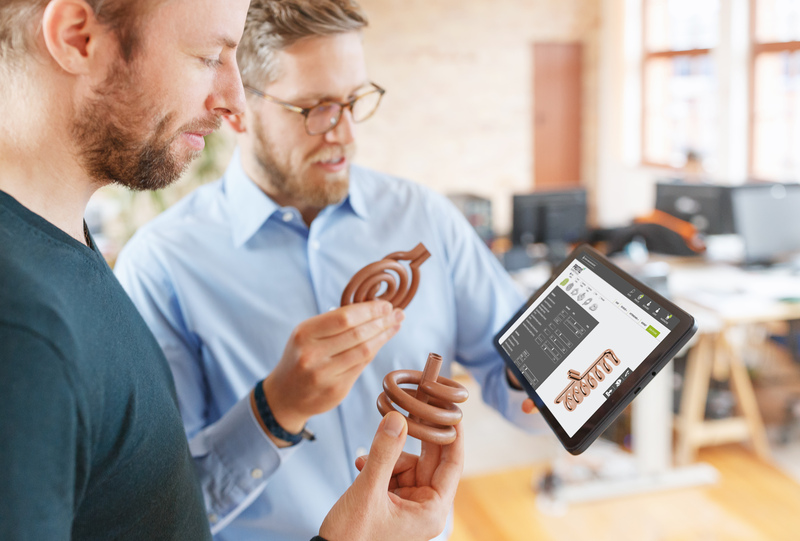 For additive manufacturing in industrial environments this could be a game changer: the evolution from prototyping to scalable customization business cases with end products. The number of potential business cases is unlimited. paramate itself can be used for design automation in various industries such as tooling, robotics, medical devices, automotive or consumer goods. Stop wasting your time on repetitive manual design tasks and let paramate’s algorithms automate even complex design processes!